As one of the world’s most powerful supermodels, it’s only fitting that Kate Moss spent her Paris trip paying homage to the designers who built her career. The 43-year-old model was spotted running around the City of Romance in back-to-back Saint Laurent looks while in town for Paris Fashion Week. Kate Moss leaving her hotel in Paris on September 27, 2017. Kate wears an all-black outfit as she emerged from her hotel. 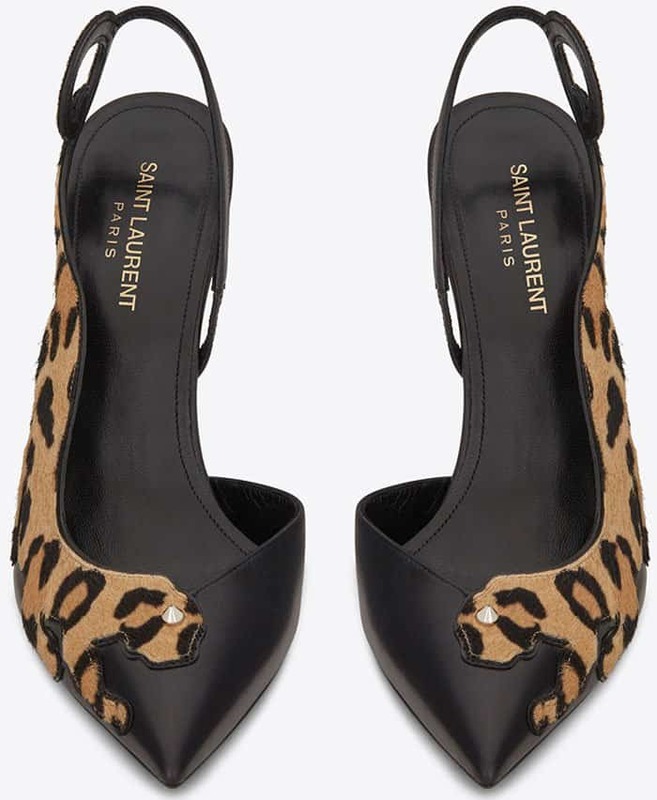 The model steps out in a pair of Saint Laurent “Anja Punk” pumps. The model was spotted stepping out of her hotel, albeit in a seemingly bad mood, in a head-to-toe Saint Laurent look. Kate went for the full all-black look with just a touch of leopard print on her feet. The mom-of-one was clad in a Saint Laurent “Iconic” smoking jacket, a black top and jeans. A pair of Saint Laurent’s “Anja Punk” pumps and their oversized leather duffle bag completed her look. The day before, Kate was seen out and about in a leopard print dress. Kate wears head-to-toe Saint Laurent. Just the day before, Kate was spotted in yet another head-to-toe Saint Laurent as she made her way to the YSL show. The model kept her leopard-and-blazer motif going as she stepped out in a short print dress. Kate covered herself up in a gorgeous tailored jacket. 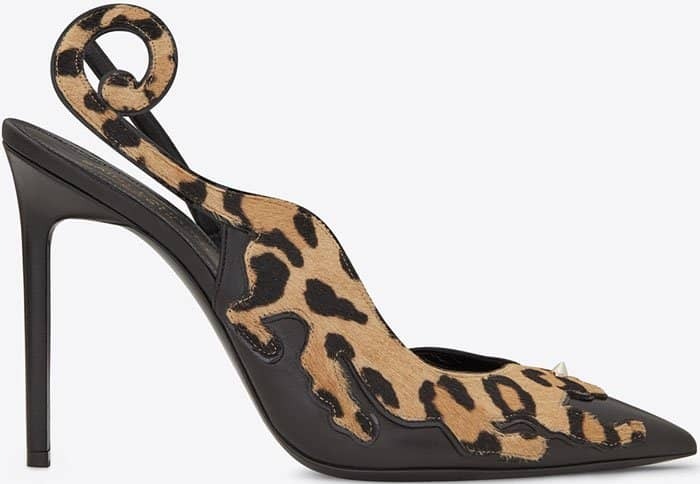 Kate finished her look with a pair of classic “Anja” pumps in plain black suede leather. The model heads out to the YSL show. 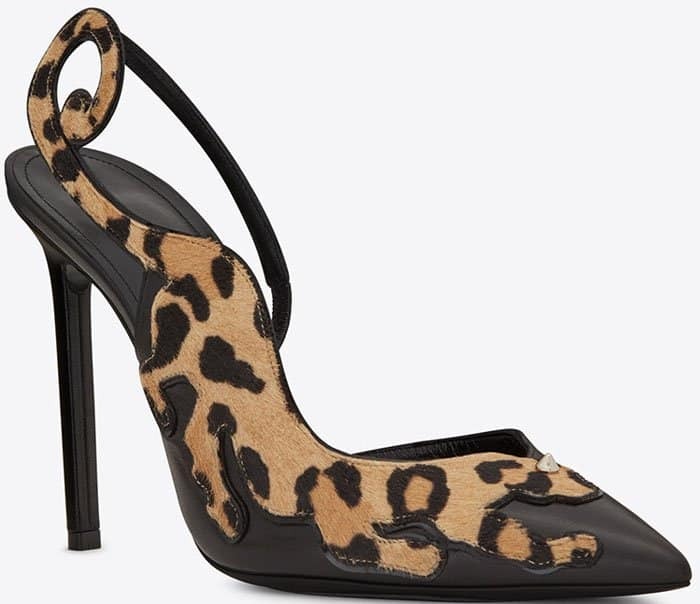 Shop Kate’s gorgeous “Anja Punk” pumps at Saint Laurent.